Strong construction, soft cottons. This is what we mean by unrivaled quality. 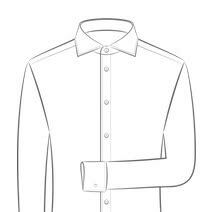 Soft Sea Island cottons and durable non-iron fabrics from the world’s best mills. Completely custom shirts made by hand and cut to your exact measurements. 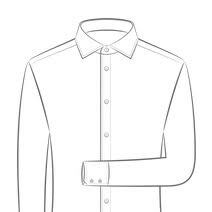 Go custom without measuring or the alterations headache. 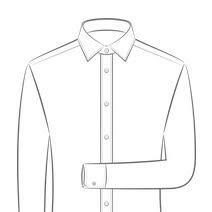 Sign up with your off-the-rack sizes and picture, a well-fitting shirt you already have or existing measurements. Stainless steel collar stays are complimentary and keep your collar straight and clean. Style options from formal to casual. You can mix and match options from each to create your own style templates. We curate the styles to match your fabric and look. 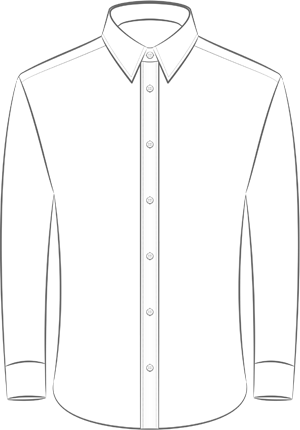 For example, a wider collar often looks best against a thinner neck and jawline.